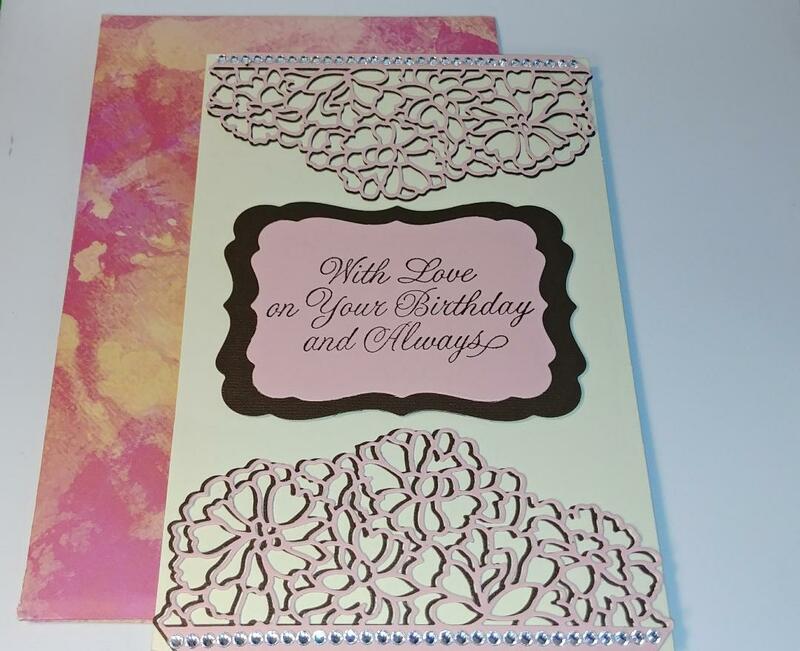 Art Gallery Cards: Beautiful Cards from Dear Friends and Family Members--Fall, Thanksgiving, Halloween and Birthday! 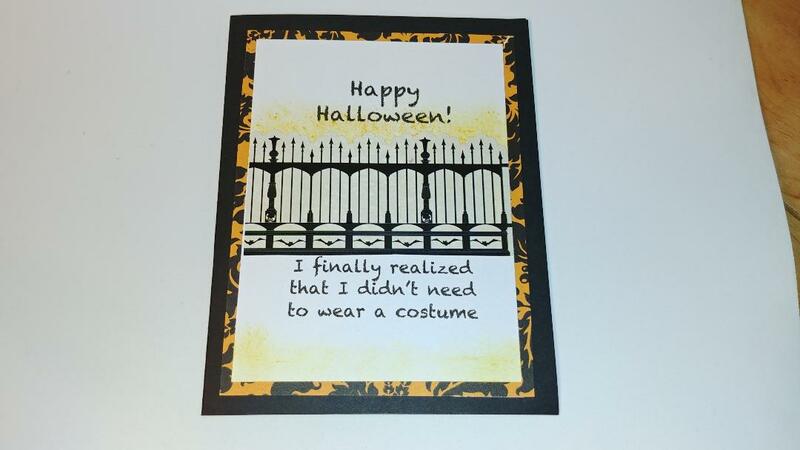 Beautiful Cards from Dear Friends and Family Members--Fall, Thanksgiving, Halloween and Birthday! Thank you so much for stopping by today. I wanted to share some beautiful and fun cards that I've received this fall! They certainly have brightened my days and given me inspiration..I hope they will do the same for you!! Enjoy!! This lovely card was given to me by my morning AGOV stampers members. 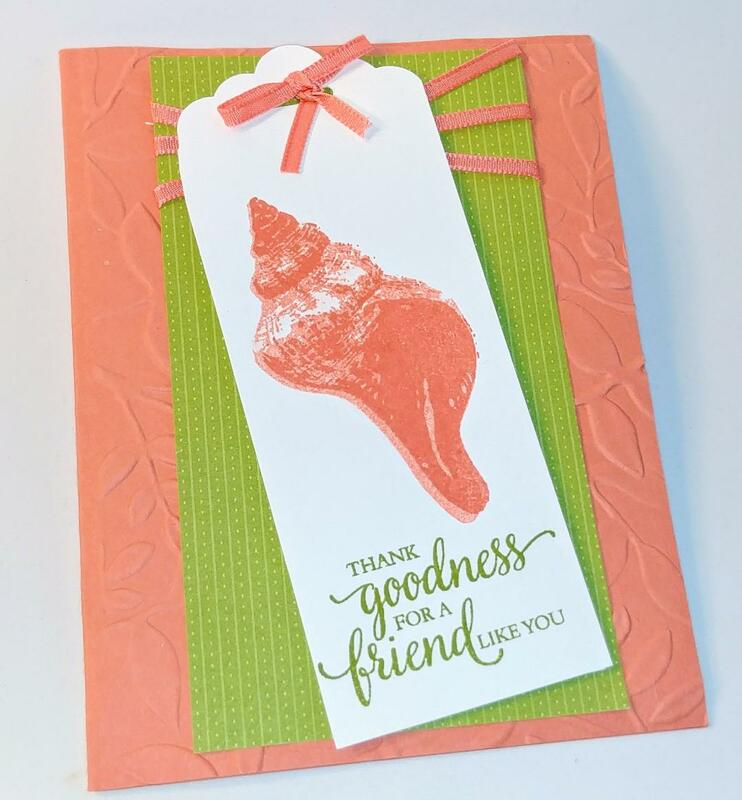 They collaborated and added their favorite things: pretty thinlits, lots of bling and a touch of humor because though you can't tell, you have to open the card from the left and inside are lots of cute and humorous stamps! So much like our class! I love it! Thank you, Dara, Janice, Kathy and Ranell! 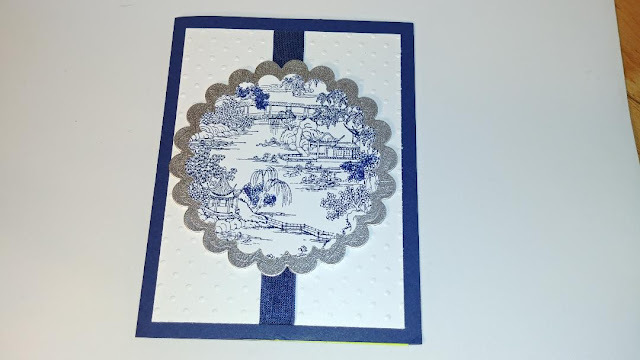 Here is my pretty birthday card from Jane. Her cards are always special and perfect to the "nth" degree. I know I'm in for a treat when I open the envelope! Thank you, Jane!! Darn I should have photographed the insides of the cards. They are so darn cute!! The one below from Janice has a very cute stamp of a lady in her curlers and bathrobe and not needing a costume. Beautiful work, Janice! Thank you!! My friend and longest downline, Linda, outdoes me sooooo much! 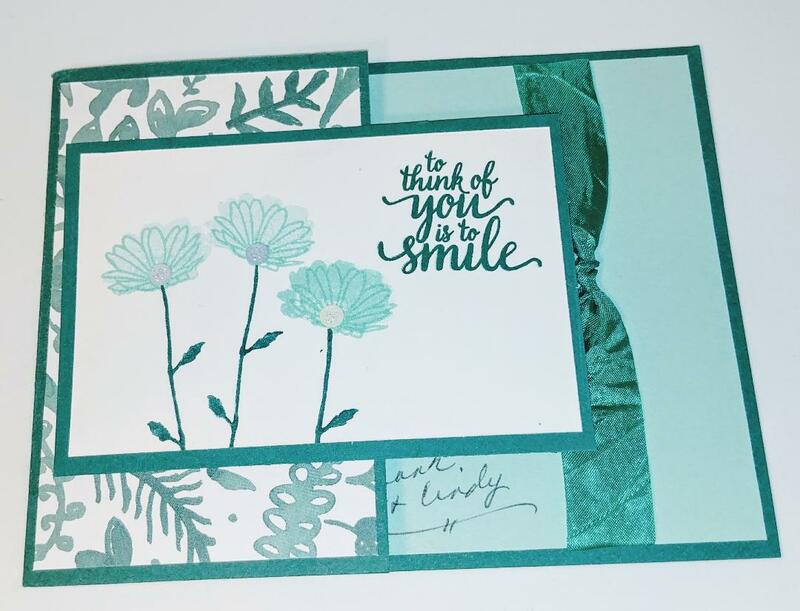 Not only does she make just perfectly beautiful cards but she actually SENDS them! Besides, she has a full time job that involves a lot of travel. You're an inspiration, friend!! Here's a pretty card from my wonderful stamping friend, Mike! She, too, does perfection-quality stamping and you can tell that she loves stamping. Mike, I admire you for your patience and skill and for being a rock to your family during challenging times. We are with you! Isn't this soooo pretty! It reminds me of my childhood tea set. (I'll bet many of you had that very same set. I made sure my daughters had one too.) I always love Nancy's creations and she very thoughtfully wrote her message on a post-it inside so that I could re-cycle/re-send the card! Thank you, Nancy!! I love how my sister-in-law, Cindy, has gained so much confidence in her own artistry! 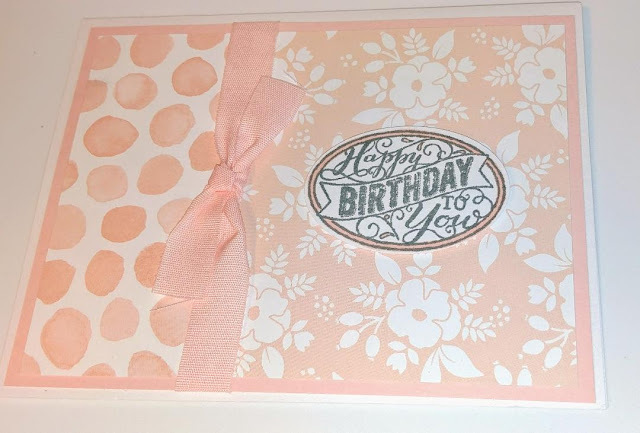 She makes lovely cards and I know I will see lots of great elements put together really well when I open the envelope! Wonderful, Cindy! 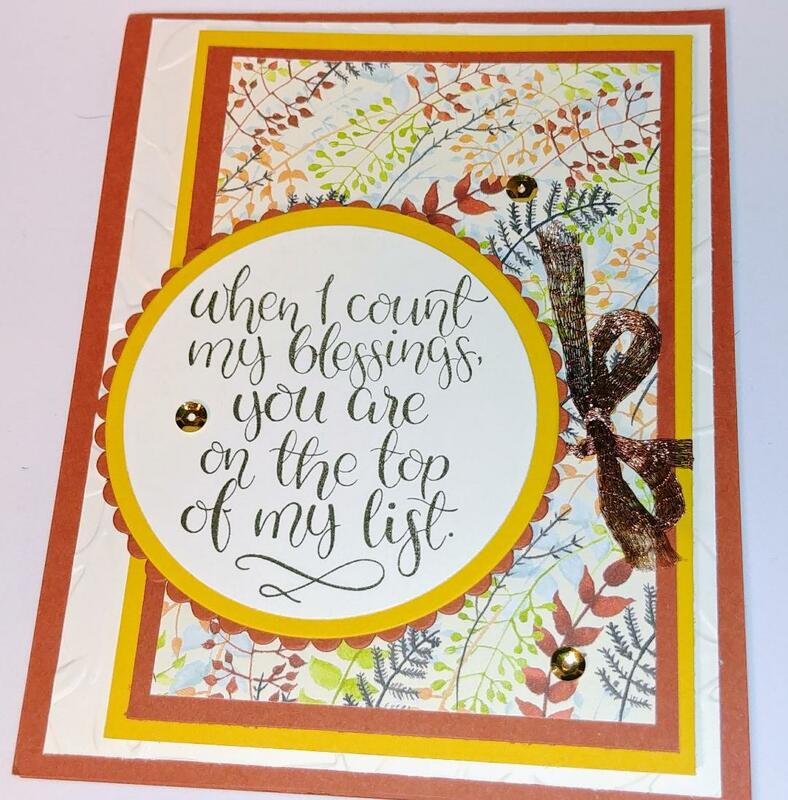 Well, now it's time to go to the Stampin' Oasis and work on this week's projects and lots of Christmas projects. Life is good!! Be sure to email me if I can be of design help or product help to you! Have a wonderful weekend! !